Buttercream by Alareen has built a business on custom cakes and sweet treats. But what's a sweet treat without a fresh cup of coffee to go with it? 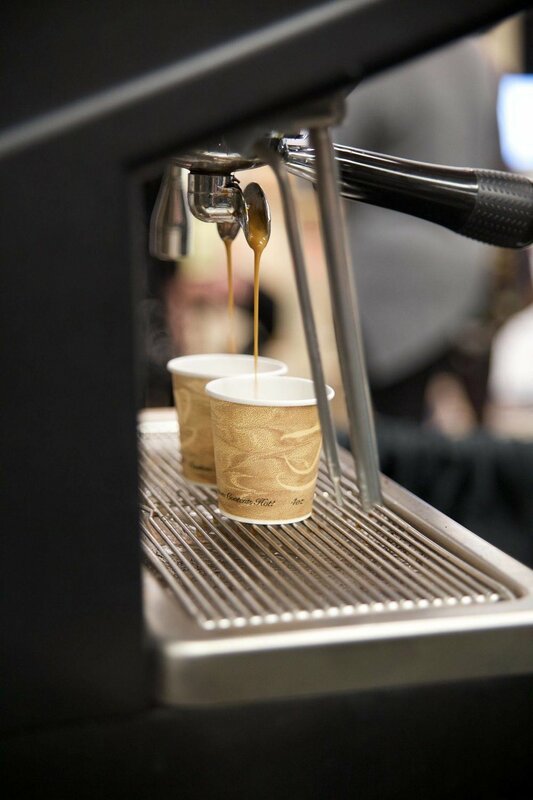 Our mobile espresso cart offers a unique and diverse way to serve custom, quality coffee at your wedding or event. That’s right, we come to you, everything included! Our espresso service is made custom to suit any wedding or event setting. Whether you have 10 people or 200 people, we will build four types of unlimited espresso drinks, sure to suit every guest's needs. Your mobile espresso service is a three hour service and will include 1-2 professional baristas, cups, lids, cream, sugar, and flavour syrups. Included on the drink menu are as follows: lattes, cappuccinos, espresso shots and americanos. Specialty drinks and milks available upon request. We will require a regular outlet, garbage can and small table to place cream and sugar on. $675 plus taxes for 30-200 people. Discount offered on events less than 30 people. Please ask us for details. Please contact us for events greater than 200 guests. We also provide brewed coffee for special events or for catering purposes. Using only the best beans locally supplied by Deluca’s, guests will the love the dark, rich, smooth taste and appreciate the quality in their cup. The coffee is brewed in our bakery and transported via thermal servers to the event site. Cups, lids, sugar, cream and milk are provided. We will require a table to set up the thermal servers. We will stay for the length of event to ensure milk and sugar is topped up if needed or we will come back at the end of the event to provide clean up and take down. $2.50/head, decaf coffee and tea available upon request.